A solid keyboard and mouse are great for improving your PC gaming setup, but stepping up to said peripherals can get expensive, especially when you add a mechanical keyboard to the mix. Cooler Master has always been one to set the game straight with affordable mechanical keyboard and mouse combos, but now it has something for even lower budgets with its MasterSet MS120. For $89 (£67, AU$99), Cooler Master’s combo includes a mem-chanical keyboard and an ergonomic gaming mouse. That’s a solid deal, especially when some mem-chanical keyboards, like the $79 (£99, AU$169) Razer Ornata and $89 (£89, about AU$115) Roccat Horde Aimo cost the same amount of money on their own. Value aside, the MasterSet MS120 simply comes with such a spectacular gaming keyboard that we would go for this combo just to have it on its own. The MasterSet MS120 comes with a compact and sharp-looking keyboard and an ergonomic, right-handed mouse that’s sure to please palm grip users. Firstly, in a word, we would describe the MasterSet MS120 keyboard as being ‘tight’. The keyboard features a frameless design that’s on par, if not smaller, than other compact peripherals, like the Logitech G513 and HyperX Alloy FPS. Cooler Master also incorporates an aesthetic all its own, with angular lines to give it a more interesting shape than just a plain rectangle. 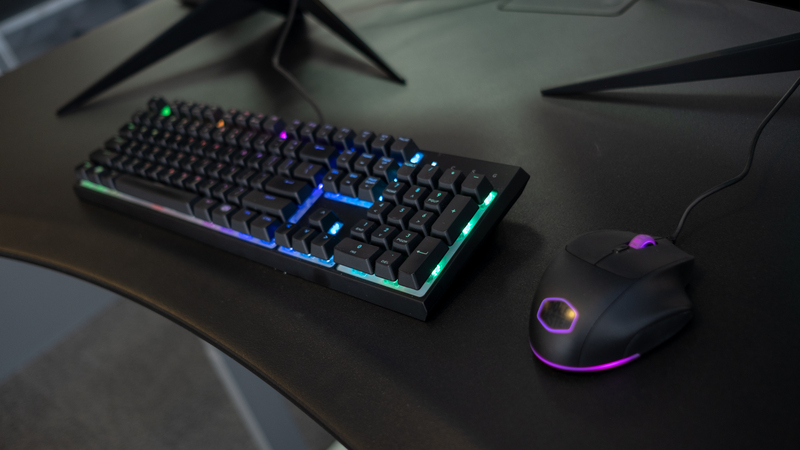 Surprisingly on a combo this affordable, you also get full RGB illumination with per-key customization – which is all done through keyboard shortcuts with no software in sight. What’s more, the hovering keycaps and white baseplate beneath the buttons both help this keyboard truly shine. Of course, for those not crazy about patterned RGB lighting, you can set the keyboard up with simple static lighting or switch it all off completely. Aside from some light-up letters to denote gaming mode as well as the Num, Scroll and Caps Lock keys, this is a very straightforward and modern peripheral. 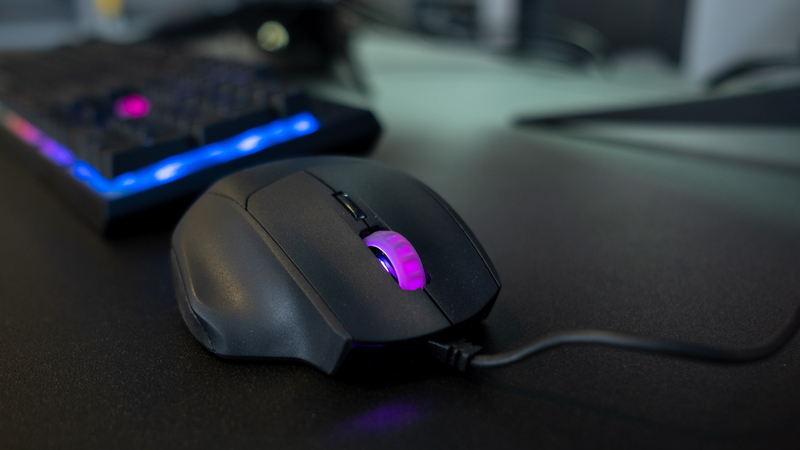 As we’ve said in our previous review, we appreciate the mouse’s extended frame that adds support for our ring finger and a comfortable gripping point for our pinky, but it simply feels too hollow for its own good. The MasterSet MS120 keyboard might not feature real mechanical key switches, but Cooler Master’s Tactile Hybrid mem-chanical switches come damn close to emulating the experience. 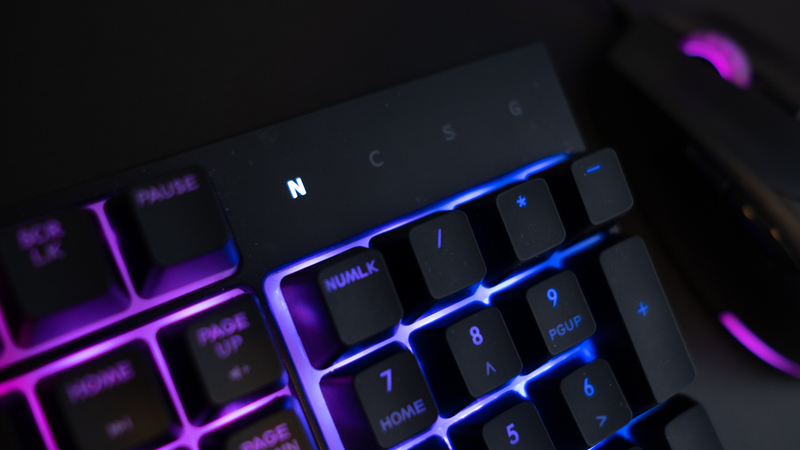 Every keystroke creates the same satisfying click we associate with Cherry MX switches, meanwhile springs beneath each key offer the perfect amount of resistance and an almost instantaneous reset we love on a premium keyboard. It also helps that the Tactile Hybrid mem-chanical switches offer a deep 3.6mm of travel distance paired with an ultra-short 1.2mm actuation point. The only negative thing we have to say about the MasterSet MS120 keyboard is that it’s a little too loud, with a sharp squeak likely caused by the the plastics of the key switches rubbing against each other. Unfortunately, the MasterSet MS120 mouse is a little less to write home about. It offers completely serviceable accuracy and responsiveness. However, the Avago 3050 Optical Sensor inside is only able to reach up to 3,050 DPI. This is a mouse you’ll eventually grow out of even if its Omron micro switches are rated for 10 million clicks. Just $89 (£67, AU$99) for a gaming keyboard and mouse combo is an amazing deal, especially when the keyboard is as good as other mem-chanical peripherals, like the Razer Ornata Roccat Horde Aimo. The included MasterSet MS120 Mouse isn’t the best, but whether you take it or leave it, the mouse does a decent job and adds to the package’s overall value. If you’re looking to level up your gaming setup, the Cooler Master MasterSet MS120 is a great way to start with a combo that’s among the most affordable of options.